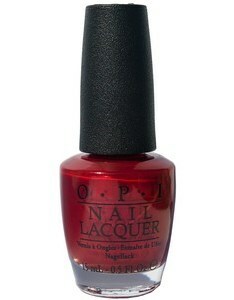 OPI Nail Polish, Danke-Shiny Red, NLG14, .50 fl. oz. Medium/deep red shimmer nail color with an almost metallic finish.